We didn’t plan for this. 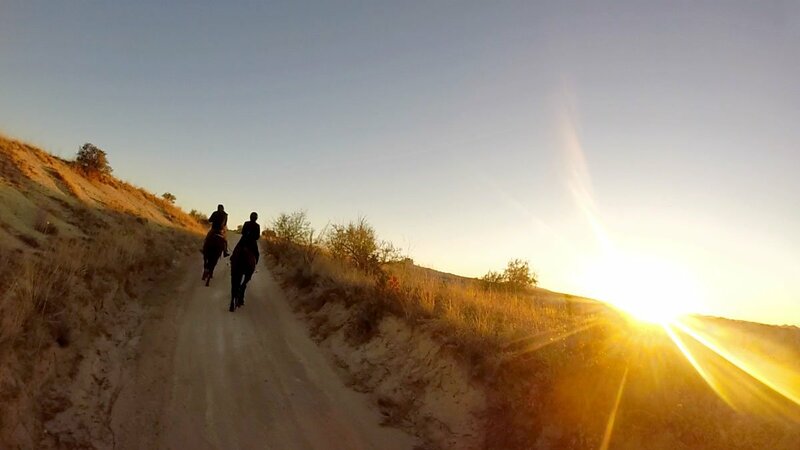 We had gotten tipsy off a bottle of wine at Omurca Art Cave Cafe and decided to go horseback riding on a whim. It was a spontaneous act that turned out to be one of our fondest memories from Turkey. It’s funny, I used to visit foreign countries with little more than a roundtrip ticket and a Lonely Planet guidebook. But these days, everything needs to be researched and neatly planned out months in advance. Call it degenerative OCD, but virtually every hour of every vacation day has to be thought out ahead of time — from hotels, to modes of transportation, to tourist attractions, to which restaurants to dine at. They’re laid out in chronological order in a Word document and printed out for easy reference. Nerdy? Absolutely. Yes, I’ve become quite the planner in my middle aged years. 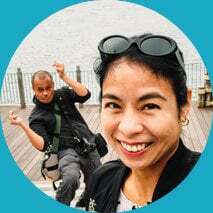 But if there’s anything I learned from today, it’s that no matter how much you obsessively plan for something, the best memories can still come when you least expect them. 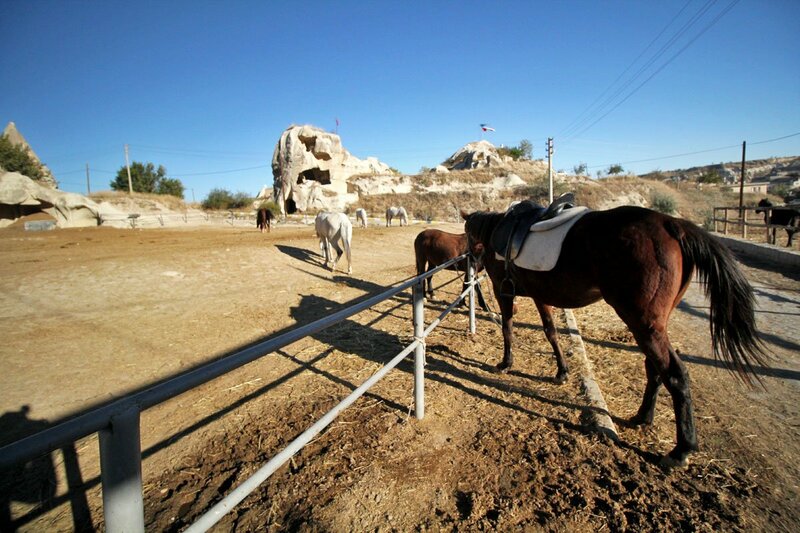 We booked this horseback riding activity with Bridge of the World travel agency. Having already pre-booked several tours with them, we stopped by their office just to chat with the owner Yasin, when all of a sudden, horses happened. 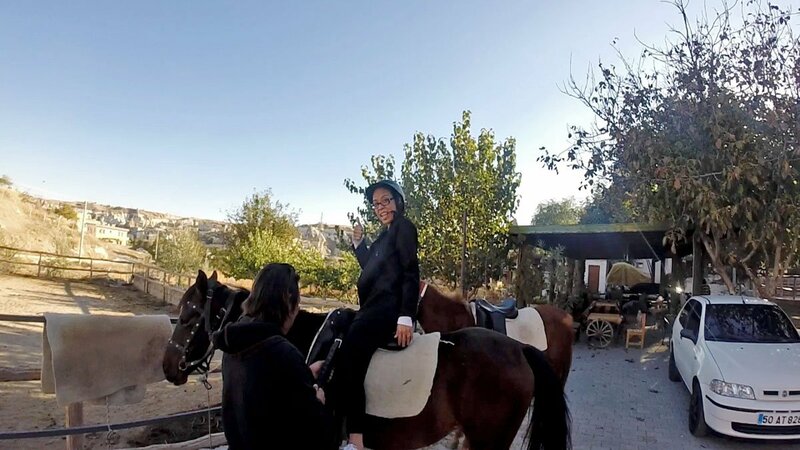 😆 Horseback riding lasts around two hours and costs 30 Euros per person. Beautiful isn’t she? I had ridden a horse maybe just once or twice in my life but the ones I rode weren’t really horses, they were more like big dogs. I was a little nervous today but I was also full of liquid courage so I went ahead with it anyway. Snapping a few more pictures before mounting my steed. 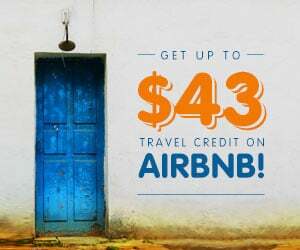 But first, we need to get out of town. That’s more like it! 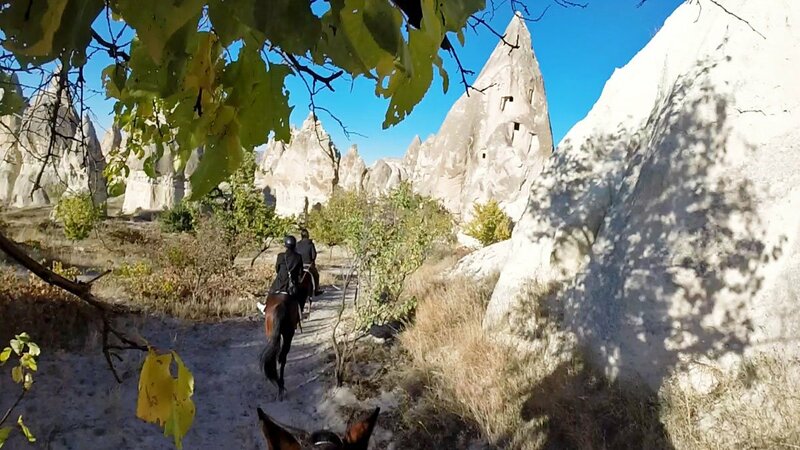 Clambering up a ridge, it’s easy to see why Cappadocia’s terrain is ideal for exploring on horseback. 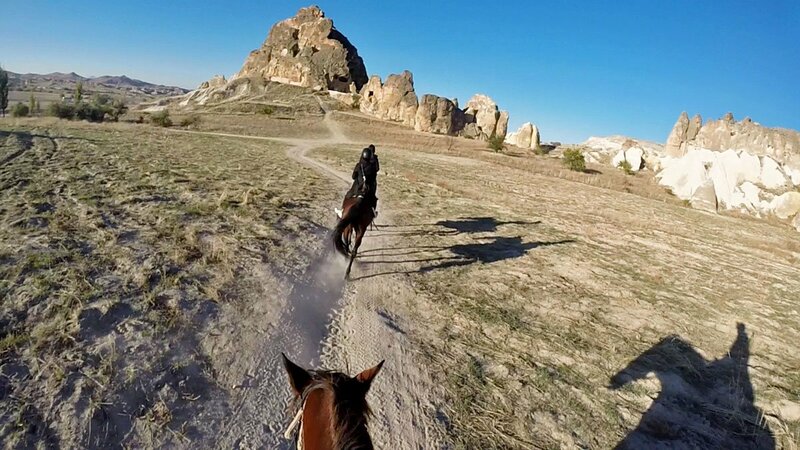 According to our Afghan guide (sorry, I forget his name), the horses know this terrain very well. 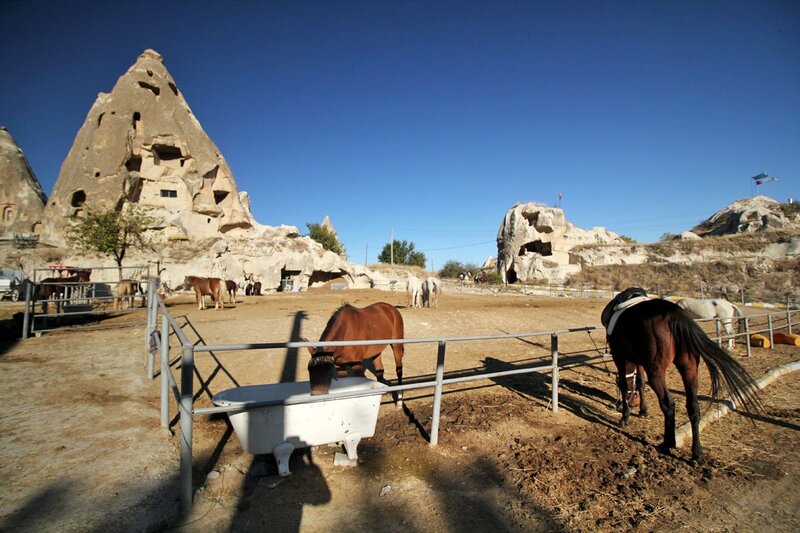 Cappadocia after all, stems from the ancient Hittite word katpatuka, which means “land of the beautiful horses”. What sorcery is this?! 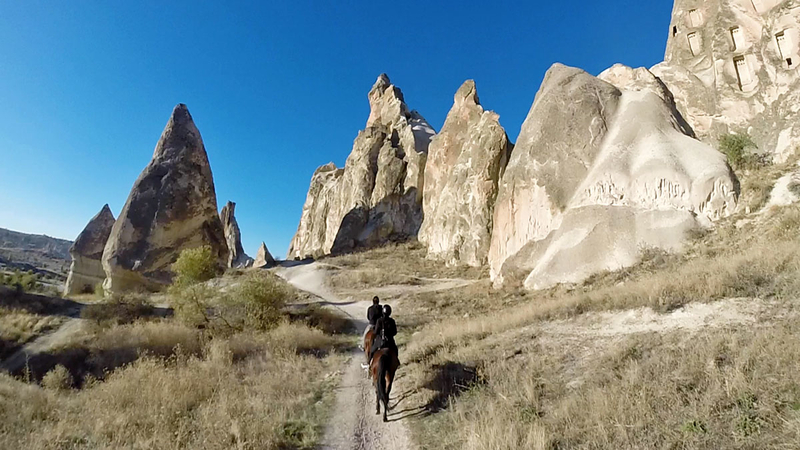 Cappadocia’s lava-sculpted landscape coming into view. 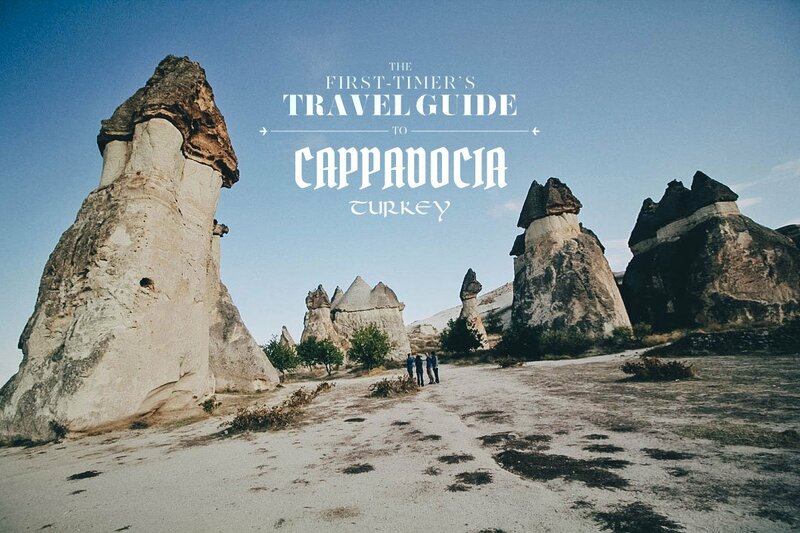 We make a quick stop here to talk about how Cappadocia’s alien landscape was formed. 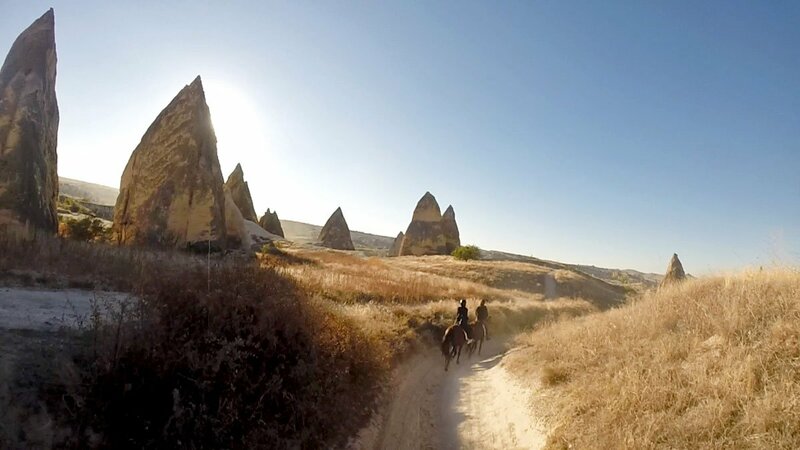 An outcropping of fairy chimneys, formed through the millennia by intense volcanic activity and erosion. Notice how the caps are of a darker color? Our guide explained that they’re made of harder basalt while the lighter-colored base is made from soft volcanic tufa rock. 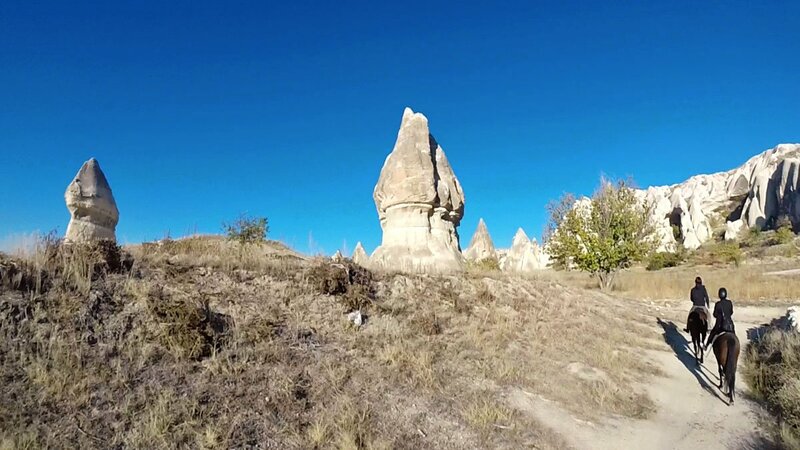 Sculpted by the elements over thousands of years, the tufa erodes at a faster rate, creating these phallic spires with dark bulbous caps. Nature has a dirty sense of humor. Like being in the land of Zelda. 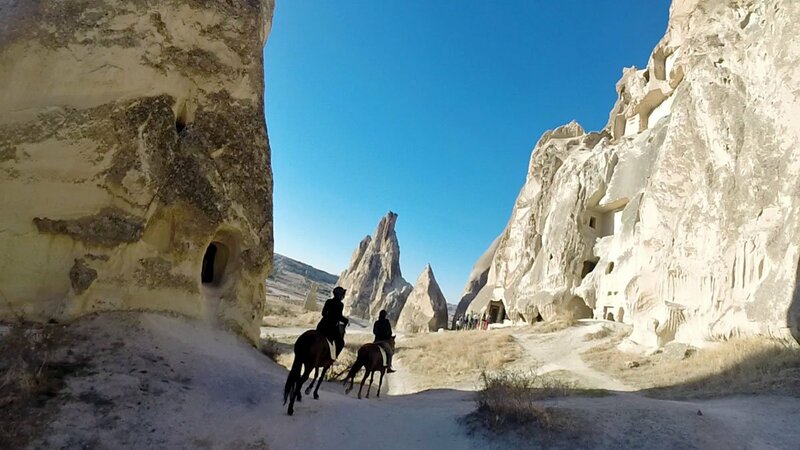 If you stay here long enough, perhaps you can catch a glimpse of Link darting between the fairy chimneys. See those holes in the rock? 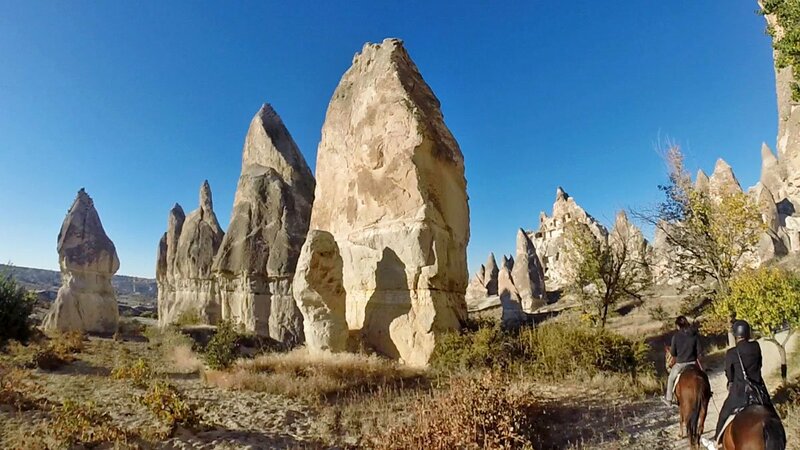 People have been dwelling in these volcanic rock formations for centuries. When hollowed out, they maintain a near constant temperature inside which makes them ideal for habitation. Locals have been carving them out to create homes, churches, even monasteries. 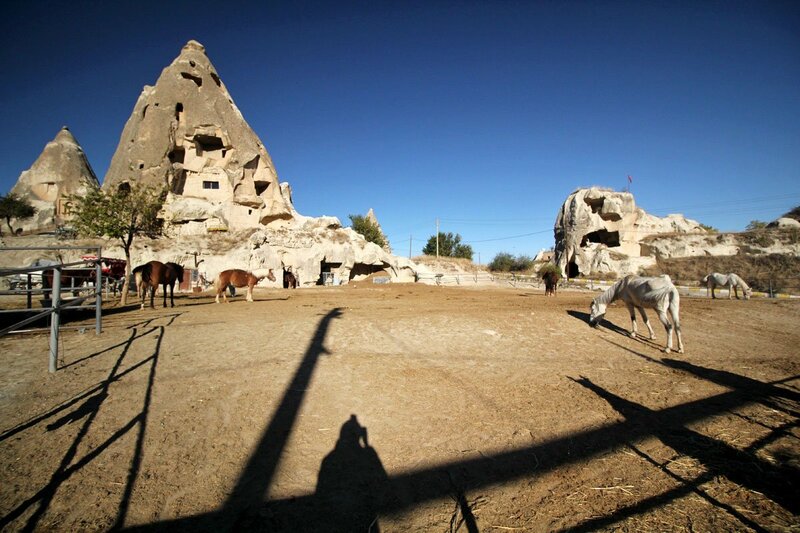 Today, with Cappadocia being one of Turkey’s most popular tourist destinations, many have been turned into hotels offering the unique experience of sleeping in cave rooms. Where’s Luke? 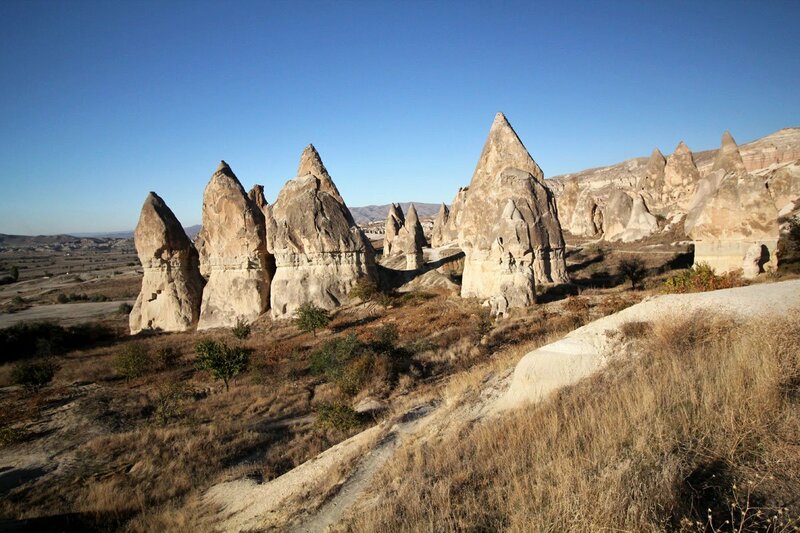 Cappadocia was said to have been the inspiration for the desert planet Tatooine in Star Wars. Not hard to see why. 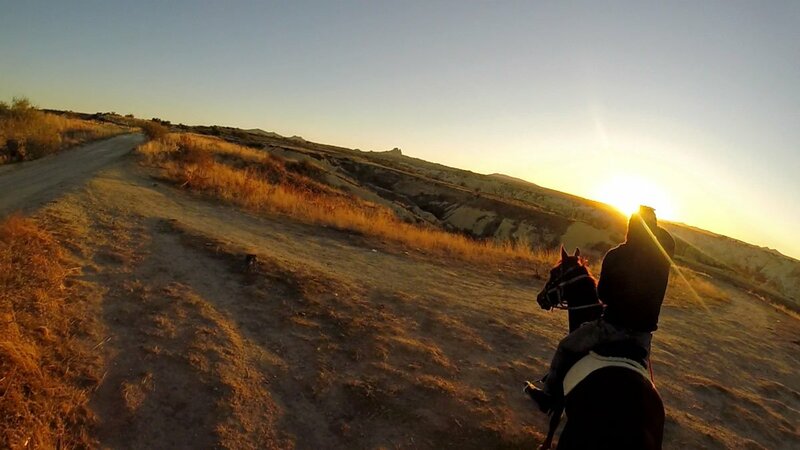 The sun slowly setting over Cappadocia. Bridge of the World offers two daily rides — the first starting at around 10AM, and this one which begins just before sunset. 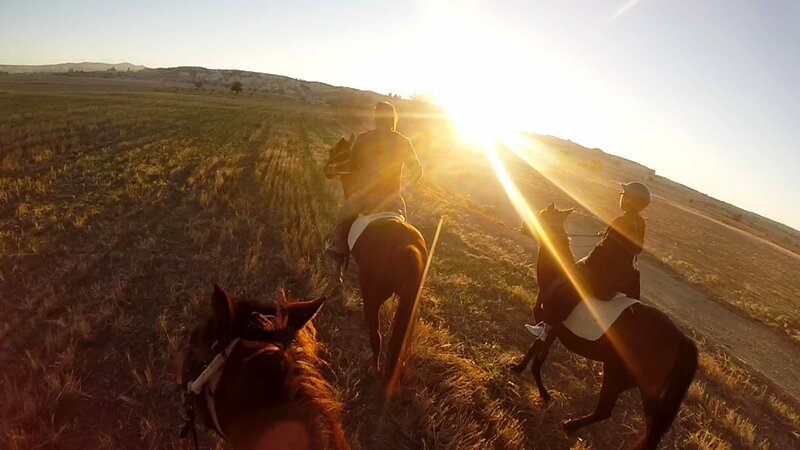 If you enjoy taking pictures, then I suggest doing the sunset ride. The colors are out of this world. Galloping across a plain. (Or more like a trot. 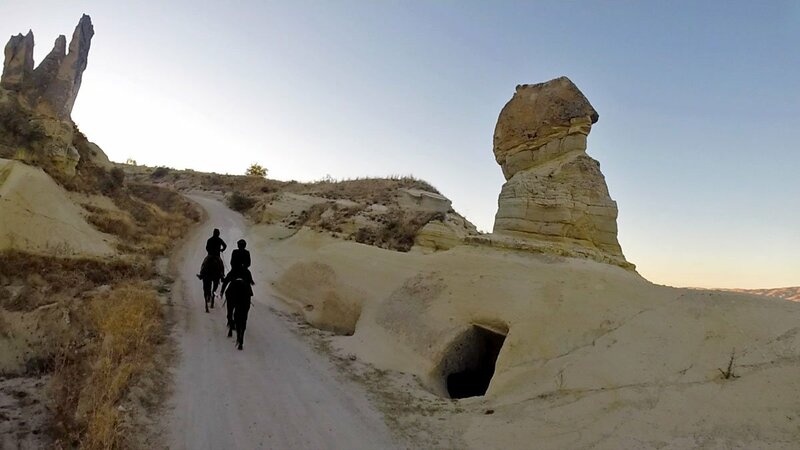 😛 ) Legend has it that Cappadocia’s horses were so sought after that the Assyrian King Asurbanipal (668-626 BC) once demanded the tribute of 1,500 Cappadocian horses. The king of Thabal offered his own daughter’s hand in marriage as an alternative, but it was soundly refused. Ouch. Sharing the road with hooligans on ATVs. Just kidding. 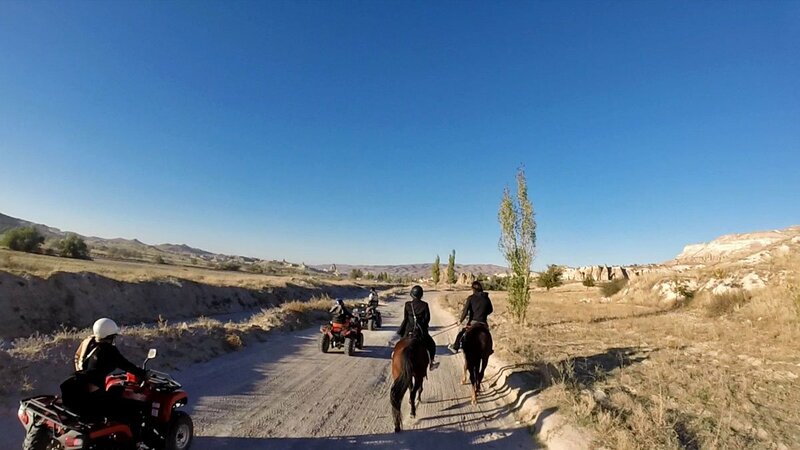 ATV rides are popular in Cappadocia and cost about the same as horseback riding. 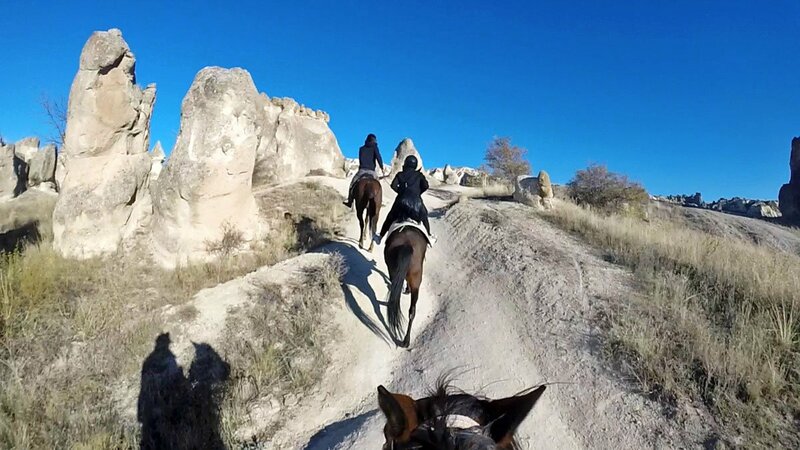 Cappadocia is famous for its horses so we chose to explore on horseback. They’re less impactful on the environment too. 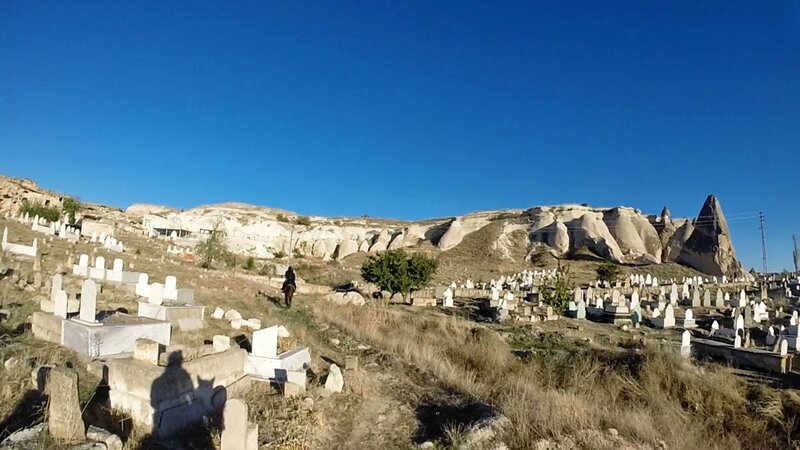 Riding through a cemetery en route to the old cave village of Cavusin. Cavusin Cave Village carved into the hillside. Once a thriving settlement, the village was abandoned in the early 60s due to the rock surface becoming unstable from centuries of erosion. People have died here, but you can still climb to the top to explore if you like. We didn’t. 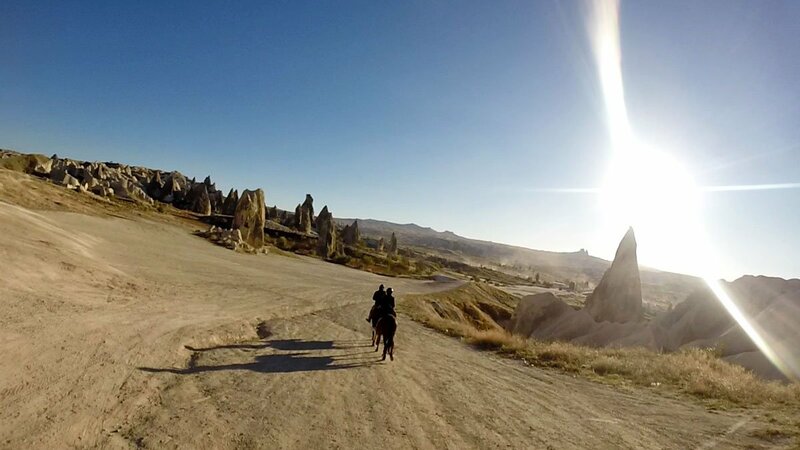 As the sun dips closer to the horizon, it turns the Cappadocian moonscape into a striking shade of golden orange. I guess this is what they mean by “riding into the sunset”? Making our way to the last stop before heading back to the stable. They’re in the valley and off in the distance so you can’t see them in this picture, but what we were looking at has to be some of the most NSFW rock formations on the planet. Out of fourteen days in Turkey, this was the only day when I had almost nothing planned. 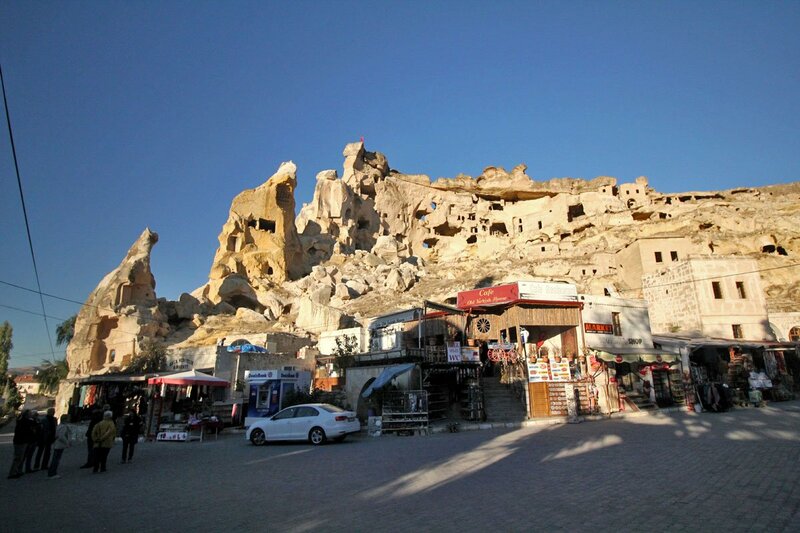 We had just arrived in Göreme by overnight bus from Denizli so we decided to go with the flow and see where the day would take us. As you can see, it took us on quite an adventure. I think I’ll be leaving more room for spontaneity on all our trips from now on. 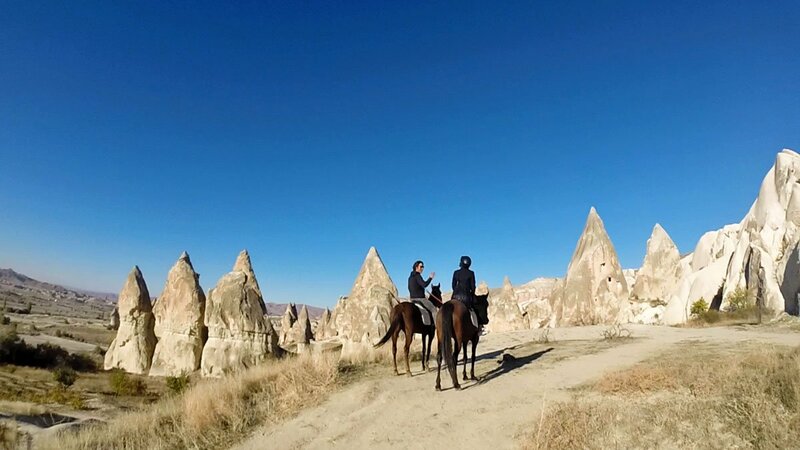 Many agencies offer horseback riding in Cappadocia but I highly recommend Bridge of the World. 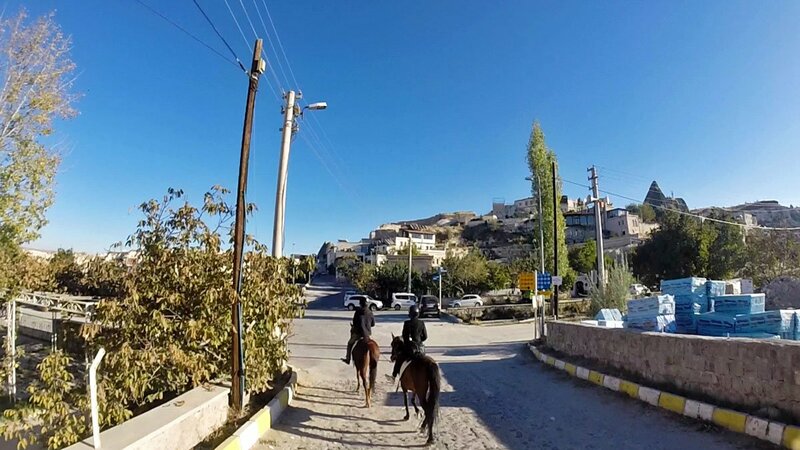 Apart from horseback riding, we booked a few other tours with them including their version of the Red and Green Tours, and Turkish Night. We were happy with all of them. Bridge of the World travel agency is a short walk from the otogar (bus station) on Uzun Dere Caddesi. If you have Sygic Travel and pocket wifi, then you can use GPS to track it down. But if you’ve pre-booked any tours or activities with them, then they’ll arrange to have you picked up from your hotel.